In the current hot property market we all want to buy our investment at the lowest price possible. On the other hand the vendor wants the highest price he can get. And you now know that the asking price quoted by the selling agent will usually be more than the owner is willing to take for their home. 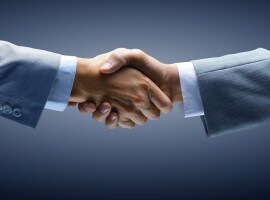 So how much should you offer when negotiating for your next investment property? If you ask the selling agent what price you should offer, you’re asking the wrong person. Remember, the agent is paid by the seller to represent them and to get the best price possible. Despite this I would still ask them what they would consider was a ‘fair offer’ and then ask them to justify it with a list of comparable sales. If you’re thinking that the agent just wants to make a sale, in many cases you are right. In reality the agent doesn’t get paid unless a sale is made, so obviously he is keen to sell you the house. Most selling agents prefer an easy negotiation, knowing that sellers can easily get offended when they receive low offers on their homes. This means they will probably recommend you make an offer close to the asking price. So unless you use a buyer’s agent to help you negotiate, you are really going to have to rely on your own research to work out what the property is worth. By the time you end up at the negotiation table, you should have looked at many properties and have a pretty good idea of what similar homes in the area have sold for. Remember it’s the final sale price, not the advertised asking price that you need to focus on when you’re doing your pre-negotiation homework. 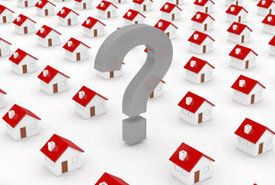 Other than in the hot markets in Sydney and Melbourne, most properties sell for less than their asking price. There is no standard discount, but as everyone knows there will be some ‘argy bargy’ about the price as agents tend to ‘list’ the property for sale at an asking price usually about 5-10% more than the vendor will accept to sell their home. This means the asking price is just a starting point for the negotiations. If you pay what the seller is asking you could be wasting money. The trick is to know how much less the seller will accept. Sometimes it’s only a few thousand dollars. In a buyer’s market like we experienced over the last few years, many vendors were prepared to drop their asking price considerably. 1. 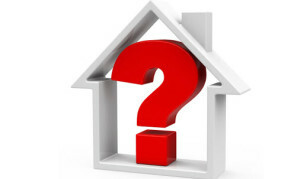 How did the vendor come to the asking price for their home? Was it from the agent’s suggestion or because that’s how much they need to buy their next dream home? Some sellers are unrealistic and unlikely to come down from their asking price if they have to get a certain amount for a particular reason. 2. Have there been any other offers made? 3. How long has the home been on the market? If it’s just been put up for sale, the seller may not be anxious to accept the first offer. 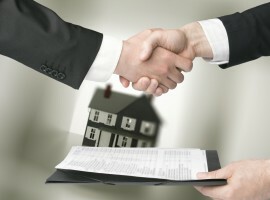 If the home has been on the market for several months it’s more likely the seller would be ready to accept your offer. 4. Why is the vendor selling? Are they going through a divorce? Do they have to move interstate urgently? Have they already bought another home that would put them under pressure to sell their current home? This will let you know how motivated the seller is. 5. Has the asking price been reduced during the time the property has been on the market? I don’t think it’s a buyer’s market at all. Just the opposite. 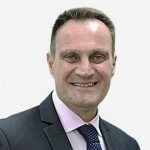 I have been making offers at or well above asking price and have not secured a property in 4 months of searching. Last offer I made was $11k over the asking price and still missed out. Also, some agents are in my opinion acting unethically, for example, asking you to put in an offer on a ‘Best and final offer’ basis and then coming back and asking whether you want to increase your offer. Dodgy. It was a buyers market when this blog was written in 2011. The market is very different today. The best solution – research! Check with local properties sold, local listings, tax assessments, and so on; if a property has sold most states and provinces require by law to publish the information on the sale right down to the owners name, assessment value, sale value, everything you would get when bidding on a property. Some states like Ohio even have maps showing the values of all properties in a neighbourhood, what they sold for last, assessment values and so on. Of course you can’t trust a real estate agent to tell the “whole truth” on a sale after all they are in it to make money too. Most of them do have a reputation to keep and will choose to be honest over getting a bad name for themselves in the community – after all, bad word of mouth = no clients in the future. thanks for the tips but would be nice to know the ideas to find out about your 5 questions. as tom said, its true that you cannot rely on real estate agents, the property will be sold in one price and if you ask they will tell you either in higher or lower figures, you cannot trust them. Sorry to make a rude suggestion…. What would stop the Real Estate Agent from LYING. My god you must be joking, a RE Agent will ALWAYS lie when responding to this question.